If your goal is to play YouTube videos in the background while you work on phone, we've got some bad news: YouTube isn't going to make it easy for you. 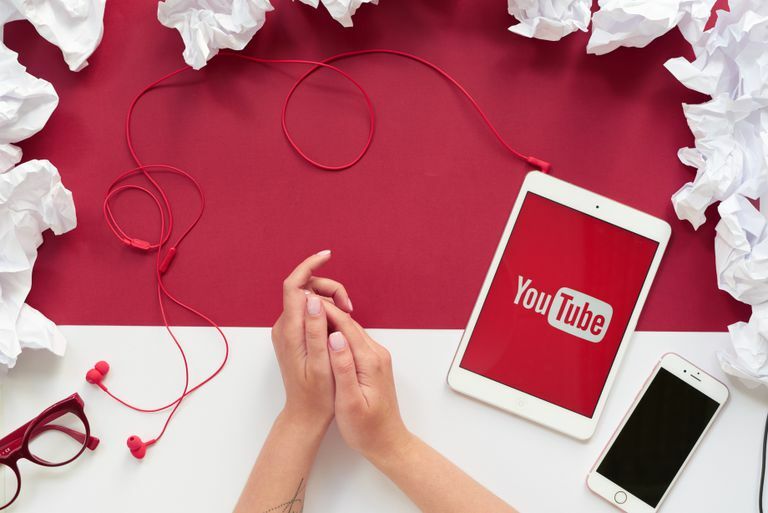 While this functionality used to be present in its various apps, YouTube has decided to reserve this particular functionality for paying subscribers of its YouTube services: YouTube Premium and YouTube Music. Below we'll point out a few ways to get around the limitation. Any workarounds that let YouTube play in the background could disappear at any time as YouTube figures out how to close the loop. If you are dependent on this, you'll need to subscribe to YouTube's services. One easy way to get YouTube to play in the background is to use the desktop version of YouTube on your Chrome browser. Here's how it works. Open Chrome, and type https://m.youtube.com to find the mobile version of YouTube. Typing an m in front of the YouTube URL, https://m.youtube.com, ensures you will stay within the browser to access YouTube. It's important to stay in the browser, and not jump over to the YouTube app if you want YouTube to play in the background. Search for the video you want to play. Once you've found the video, tap the three vertical dots in the upper right of the screen to select desktop site. Once the site refreshes, press the start button to play the video. Switch apps, or put your screen into silent mode, and the video will stop . Swipe down to reach the control center, and find the video in your settings. Press play. Turn off your screen, or switch to another app, and YouTube will continue to play. Designed to help you multitask, Picture-in-Picture (PiP) is a feature available on Android smartphones running Android 8.0 Oreo and later. Here's how to use PiP to play YouTube video in the background. PiP mode for videos that contain music content is only available for YouTube Premium members, which is explained later in this post. You must also have the latest version of YouTube installed on your device. Turn on PiP by going to Settings on your smartphone or tablet. Scroll down to find the YouTube app, and tap YouTube. At the bottom, select Allowed under Picture-in-picture. To enable PiP, start playing a video within the YouTube app, and press the home button. The YouTube video will appear in a small window on your screen, which you can move around with your finger. The video will continue to play as you open other apps. While PiP is not available on YouTube for iOS devices without a subscription, you can still play YouTube video in the background on your iPhone or tablet by using an alternative browser, like Opera or Dolphin. Download Dolphin for iOS or Opera for iOS. Once downloaded, open the browser. Type https://m.youtube.com into the search bar to find the YouTube site. Search for the video you want to play on YouTube within the browser. It's important that you stay in the mobile version of YouTube within the browser, and do not click on any YouTube link that will take you to the YouTube app on your device. The top of your search bar will say https://m.youtube.com. Play the video, and once the video starts, switch to another app, or put your screen into sleep mode. The video will stop. Swipe to find the music player, and check to see if the title of your video is showing there. Sometimes iOS defaults the media player to your music library in the music player, rather than the video. If this happens, simply go back to the YouTube video in Opera or Dolphin, and press play again to clear out the music player so that it defaults to YouTube. Once the title of your video shows up in the control center, press play to let the video play. Put your phone back into sleep mode, or switch apps, and the video will continue to play. If you would like unlimited access to YouTube videos that consistently to play in the background, you will need to purchase a YouTube subscription. YouTube offers two subscription services. YouTube Premium (previously known as Red) allows you to play videos in the background and comes with access to original video content for $11.99 a month. YouTube Music is a music streaming service that allows YouTube videos to play in the background for $9.99 a month.